The focus of my training and research has evolved from basic science to more clinically relevant and applied projects. This progression lead me to an exciting opportunity working on mechanisms of tumor formation and cancer development related to Neurofibromatosis Type 1 (NF1). My previous work focused on drug sensitivity, protein interactions, and genetic screens in bacteria. I feel there are great opportunities in applying those types of techniques to work on cancer cells. New technologies such as next generation sequencing, gene knockout libraries, and proteomics profiling now let us apply great power to the study of human cells in culture disease modeling. My current work in the laboratory is focused around both assessing effectiveness of signaling pathway inhibitors and searching for novel pathways to target for therapy in the future. For example, I have developed cell lines deficient in the NF1 gene (mimicking that genetic aspect of the disease). I am currently using these for small molecular/drug and genetic screens as part of the CTF Synodos for NF1 project. My proposal for the Children's Tumor Foundation Young Investigator Award builds upon this work, allowing us to conduct medium scale combination drug screens to target tumors and identify genetic interaction maps of dependencies in NF1 deficient cells. My major research interests revolve around two distinct, yet intersecting areas: 1) to understand how myelinating glia subtypes (oligodendrocytes and Schwann cells) in the central and peripheral nervous systems develop into myelin-forming cells and how they are regenerated after injury, and 2) how these differentiated cells or their progenitors are transformed into tumorigenic cells under pathological conditions. 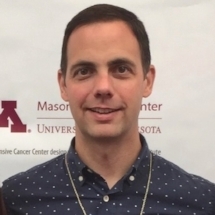 Although trained as a developmental biologist, I have had a long-standing interest in how signaling pathway dysregulation contributes to cancer. Specifically, I am fascinated by the remarkable plasticity of Schwann cells in response to injury, which has important implications for cancer. My research background in Schwann cell biology has prepared me well for the transition into Schwann cell-associated tumor research, such as MPNST.